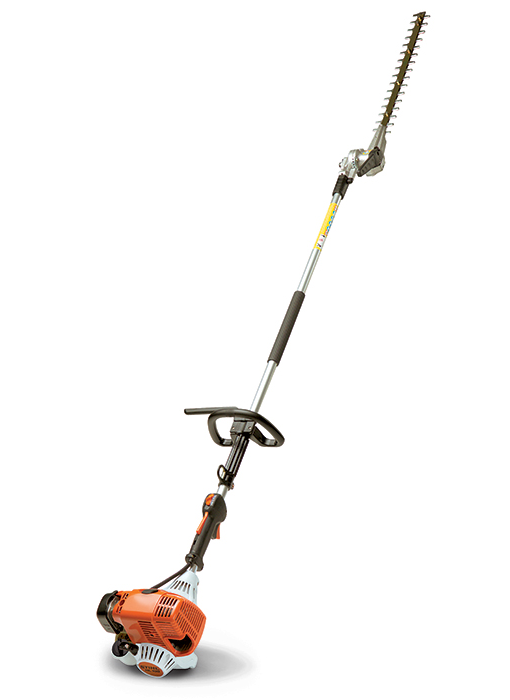 Made for high hedges and high volume, the STIHL HL100 Rotating Hedge Shears have extended reach extended reach, with a shaft length of nearly 60." This professional hedge trimmer isn't messing around—it can reach almost any sized hedge and trim it down to size. Its adjustable cutting head features 13 locking positions for a working range of 135º, so you can tackle those hard-to-reach areas with ease. And thanks to its fuel-efficient, low-emission engine, you can trim hedges all day with less refueling. There’s plenty of power to go around. STIHL hedge trimmers and extended-reach hedge trimmers for professionals are made with premium components to ensure consistent performance, long product life and greater versatility. Click to read "Hedging and Trimming Your Garden Greens" on our blog.